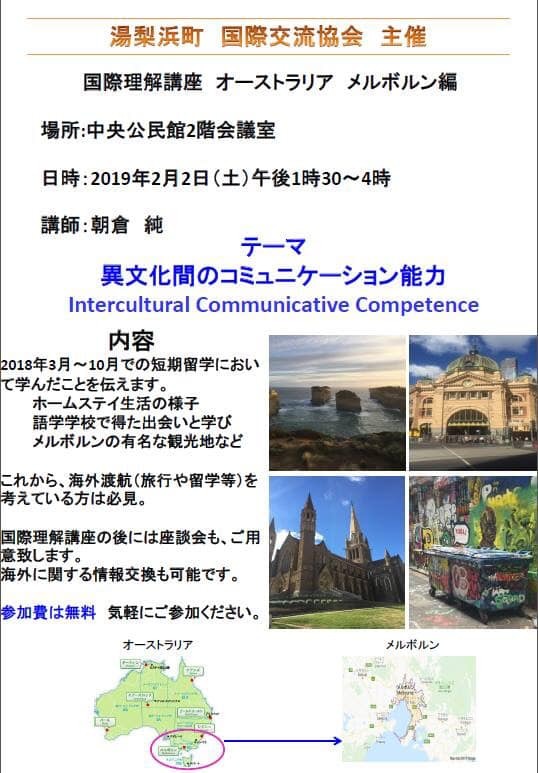 In this cross-cultural seminar, Yurihama International Friendship Association member Mr. Jun Asakura will discuss intercultural communicative competence while drawing on his experience studying abroad in Melbourne, Australia, from March- October, 2018. This lecture will include insights into what Mr. Asakura learned from his homestay experience and time at a language school, as well as a brief introduction to Melbourne’s famous tourist attractions. for an afternoon of friendship, exchange, and music from across the world!